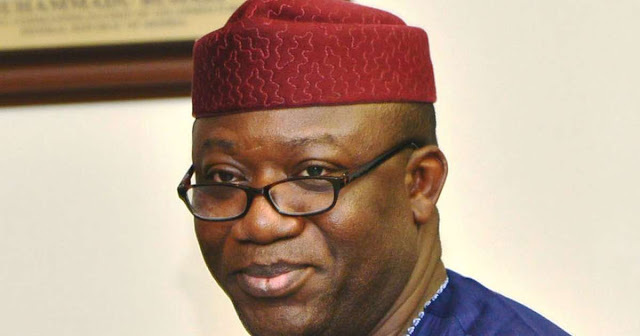 Ekiti State Governor, Dr Kayode Fayemi has assured Ekiti people that his administration will not abandon projects inherited from previous administrations in the State. Speaking in Afao Ekiti on Wednesday during his tour of The Gifted Academy built by the Ayo Fayose-led government, Dr Fayemi stated that though he may not agree with his predecessor on the rationale behind the establishment of some projects, abandoning those projects would amount to wasting the resources of Ekiti State. He explained that the tour was aimed at having a comprehensive assessment of all projects. “When I came as governor, I completed to the best of my ability virtually all the projects left behind by the Oni administration. It was my government that completed some of the roads started by Oni. It was my government that completed Ipoti-Odo Owa- Ila Orangun road, Otun-Osun-Iloro road, Isan – Ilemeso road, we completed the House of Assembly complex. It has always been our intention to see governance in a continuum frame. “The important thing is these have been funded by Ekiti money not by a particular governor who embarked on the project. I may disagree with many of the things put in place by my predecessor but I don’t think it is in my place to abandon them because I am abandoning the resources of the State”, he said. Governor Fayemi noted that it was his administration that facilitated the World Bank support for the funding of the Gifted Academy though the project was executed by Fayose hence the need to ensure that the facility is put to good use. The governor said though Fayose shut down the Federal Government Girls’ College, Isan Ekiti, a similar project initiated by Fayemi, he would not embark on a vendetta mission of cancelling the Gifted College since it belongs to Ekiti people and not Fayose. His words: “The gifted academy which was built by the last administration as a SEPIP project and you may be aware that SEPIP project was what I started and I got the money from the World Bank and we have various DLIs and those were the basis for giving us the money; you make some things happen and you got the money from the world bank. “If you go to the Technical College in Ado, that is also a World Bank project. It is good that we have this but it must be put to good use. “We had a similar project in my own community but when the Fayose government came, he shut the school down the Federal Government Girls’ College. In fact, the Principal had been appointed, students had been admitted the whole place was ready but because it is in his predecessor’s community, just as he attempted to cancel the College of Technical Agric, Isan Ekiti, that probably the fear why he would want a single student here despite that it was not academic session yet. It doesn’t make any sense to have just a single student being taught here by probably twenty or thirty teachers and a principal already assigned. I don’t come from that school of thought that what’s not mine must be destroyed. The school belongs to Ekiti and it is not going to be cancelled or destroyed”. While stating that the process of admitting students into the school should be merit-driven, the governor said he would ensure that government set “a very clear standard that will be adhered to in terms of how this place will be run because it is a legacy for the future”. Speaking on Ire Burnt Brick factory, Fayemi said the decision of his government to revive the burnt brick factory was to demonstrate the good “we can make of our natural endowment”. While assuring that his government would ensure that the factory continues to produce, the governor lamented the cancellation of the contract for the rehabilitation of Afao-Ire-Ilupeju road by the immediate past government; adding that the new government would provide motorable road that would make the factory accessible. “We will continue to do our best to ensure that the brick industry is in its best condition to fulfil the dreams of its founding fathers so that Ire can continue producing. It is not for it to be abandoned. That road was awarded before I left and I don’t know what happened to that contract. Yet you find places that have no commercial value which we are expending huge amount of our resources. The important thing is that access must be provided to enable the products to get out”, he said.